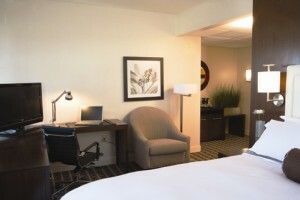 Located in the heart of Atlanta just minutes from the CNN Center, Centennial Park, Georgia Aquarium and other top attractions, The Ellis Hotel is a gem in a sea of towering mundane mainstream brands. After a sad history (the site of the deadliest hotel fire in U.S. history) and nearly two decades of vacancy, the property is brilliantly restored. The renovation price tag totaled $23 million to bring the Ellis to its present day status as one of the top luxury boutique hotels in the Southeast. It opened in 2007 with rave reviews. Awarded the coveted Altanta Downtown Design Excellence Award in 2008, the Atlanta Urban Design Commission Award for Historic Preservation and rated the No. 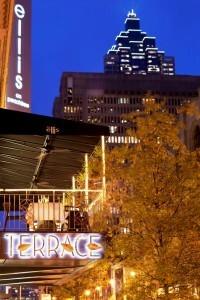 1 business hotel by TripAdvisor, the Ellis continues to make its mark as an innovator in hospitality. 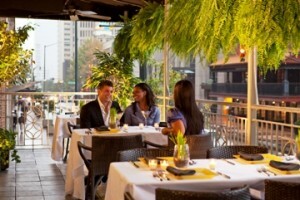 Most recently, the Ellis was certified as a Green Seal property – one of only two hotels in Atlanta. The hotel’s commitment to green living and sustainability is evident from the energy efficient rooms and eco-friendly housekeeping policies to its farm-to-table organic restaurant. Location: It can’t get any better than this – only 10 miles from the airport with a Marta (subway) station just across the street, the hotel location is perfect for the business and leisure traveler who does not want to deal with Atlanta’s notorious traffic jams. Major attractions are all within walking distance. Sport fans will love its proximity to the Georgia Dome and the Philips Arena. Rooms: The property offers 127 bright and beautifully appointed rooms. There are 12 Junior Suites and a Presidential Suite which are larger in size and include a sitting area and full size soaking tubs. Services & Amenities: The 4 Star Property is all about meeting guest expectations. The special touches keep satisfaction ratings high. Molton Brown luxury bath products, free Wi-Fi, natural stone room design features, comfort-top bedding, an iPod docking station, a 24 hour fitness center, a full service concierge, and my favorite – an evening Wine Down tasting/happy hour are just a few of the hotel highlights and perks. Fun Fact: The hotel is Pet friendly (weight restrictions do apply). Fido is welcomed with an eco-friendly goody bag of treats and toys… and plush bed. The concierge is happy to set up pet sitting, grooming and pet social outings upon request. Contact Reservations for more information. A Phenomenal Fit for Women Travelers: The Ellis understands and respects the needs of a travel diva. So much so… that there is a designated “Women Only Floor”. The floor requires special room key access. But more importantly, each room has special perks. Rooms come complete with flat iron, plush robes & slippers, an emergency pair of pantyhose, and computer cam accessory to allow you to connect via your laptop to family and friends. With the cam, Moms will never miss saying goodnight to loved ones at home. 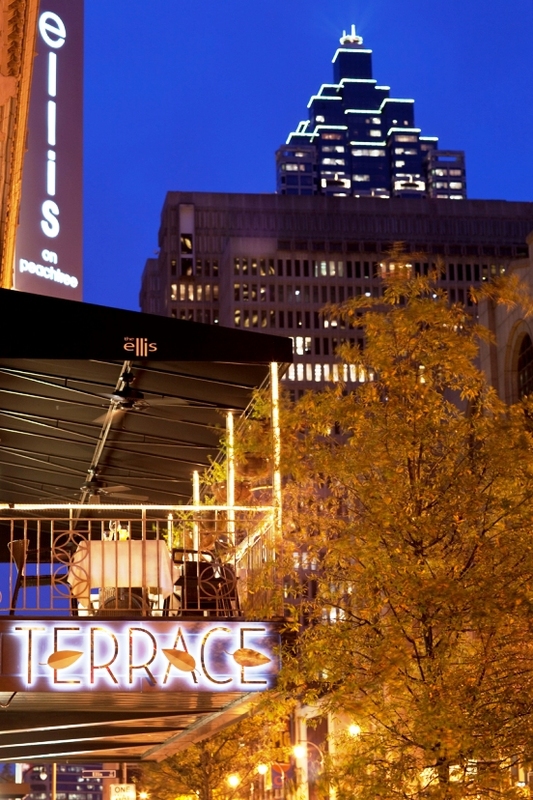 The Terrace Restaurant is all about fresh, organic and sustainable cuisine. The menu and overall food philosophy is inspired by the work of Chef Michel Nischan of Connecticut’s celebrated Dressing Room restaurant. Chef Nischan has challenged the culinary world to cultivate, harvest and cook as our forefathers once did with pure and natural ingredients. The Lobby Bar & Lounge is a popular watering hole for guests. Relaxed and intimate atmosphere. Light menu served – ranging from pulled pork sliders, salads, sandwiches to BBQ Chicken Wings. Drink specials nightly. When to Go: There is always something going on in Hot’lanta (but late summer weather can be steamy). Check the Atlanta Tourism Website for a full calendar of local events.